The STA Safety Trip Alarm performs as a logic solver and acts on potentially hazardous process conditions; warns of unwanted process conditions; provides emergency shutdown; or provides on/off control in Safety Instrumented Systems (SIS) and traditional alarm trip applications. 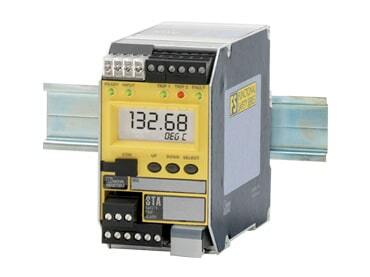 The 4-wire (line/mains-powered) STA models accept a signal input from transmitters, temperature sensors and a wide array of other monitoring and control instruments. 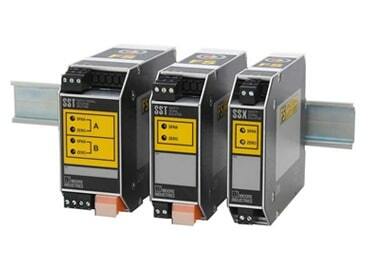 The SST is a 4-wire unit powered by 24DC, 117AC or 230AC. It is designed for applications where line/mains power is readily available, such as the back of a panel or inside of a control room. The SST Splitter takes the input from one of your process signals and creates two identical, completely isolated outputs to two separate monitoring or control devices. Additionally, the SST functions as a HART splitter that passes valuable HART data to one or both of the SST’s independent outputs. The SSX is a 2-wire isolator, drawing power from the output side of the loop. Typically, this is from a secondary receiving device such as a DCS or PLC. 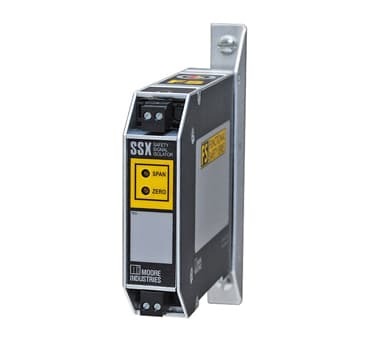 Use the SSX to isolate your SIS from your basic process control system. While power for the SSX is derived from the output side of the loop, disconnection or loss of power will not affect the input loop’s signal integrity. This allows maintenance to be performed on the non-critical side of the loop.